Assessing Miguel Almiron’s first 6 games for NUFC – One thing stands out.. – NUFC blog – Newcastle United blog – NUFC Fixtures, News and Forum. Almost two months after swapping the States for St James’ Park, it feels like a good time to assess how our new record signing Miguel Almiron has got on following his first 6 appearances for the club. He may not have scored yet, but his creative spark has been clear from his first minutes from the bench at Wolves up until his last outing at Bournemouth. He’s created more chances than ANY other Premier League player since his arrival – meaning, coupled with a betting offer sourced from online-betting.org – it might be worth your while backing him to bag a few more assists this season. Considering many expected his transition from the MLS to the English top flight take time, this stat shows how quickly he’s made an impact. Common compliments – Movement; something that I was impressed by in just about every appearance. Energy / work rate, creating chances or creating space for others. Pace devastating on the break. Room for improvement – Sometimes on the fringe of the games (was vs Burnley at times and struggled in first half at West Ham). One thing that already convinces me about Almiron is that even if he’s having a ‘quiet’ game, his movement, pace and energy seems to be a constant – meaning he is never ineffective. 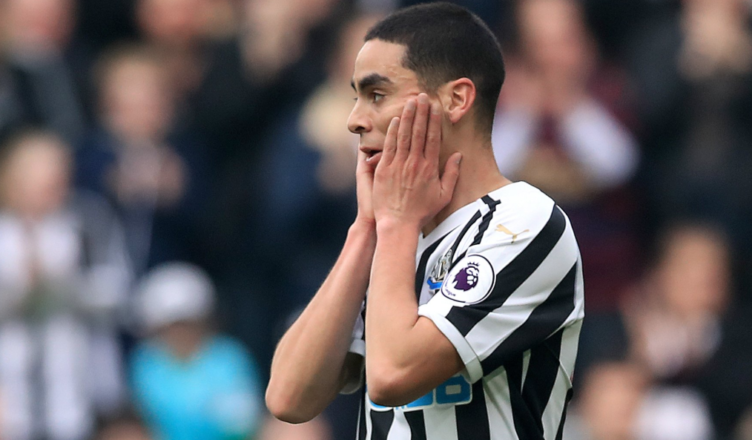 We’ve had a few wingers over the years who’ve been complete passengers if they’re not ‘at it’, but it seems clear just two months into Almiron’s career at Newcastle that he’ll never fall into that category – and that’s a huge positive to take given he’s still adjusting to life in English football. What I like most about this lad is his attitude. It’s a big thing joining a new club as their most expensive signing – and especially NUFCs with how long it’s been coming – big expectations on his slight shoulders. But he doesn’t seem to have let that consume him. He hasn’t come in and tried to do it all himself. He’s forged a good relationship with Perez and Rondon – and he seems to have raised their performance levels too. I think it’s hugely important to add in the summer again, because this shows what adding a bit of quality can achieve.